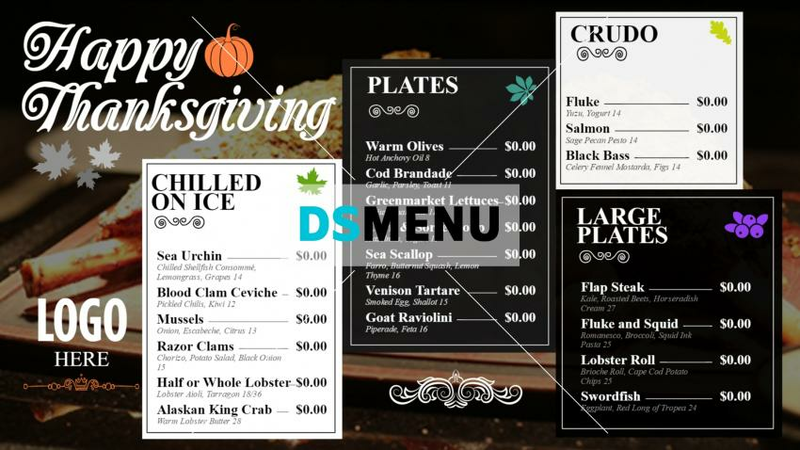 Digital menuboard for Thanksgiving showing special menus. With dark background, the nice images are made big to make them look prominent along with texts. Special offers gets a prominent place in the menu board to stand out. The menu board is ready for edit and download.